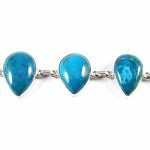 This is a stunning Rainbow Moonstone bracelet in thick Sterling Silver ~ the flash is very hard to photograph, but every single cabachon in this piece has a vibrant, obvious blue flash. This is the highest grade Rainbow Moonstone available with absolutely beautiful energy. 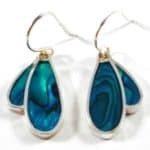 This piece has a translucency and ethereal quality to it that is simply wonderful as it is AAA Grade, extremely high quality. Each cabachon is approximately 10mm x 8mm and there are EIGHT pieces of Rainbow Moonstone in total. If you’d like to read my blog on Moonstone, please Click Here. 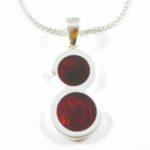 Moonstone is known as the ‘Women’s Stone’ as it balances and promotes health with hormones, PMT, monthly cycles, pregnancy, breast feeding, childbirth and menopause. Moonstone gently draws in feminine energies and opens up our intuitive gifts. It is perfect for conception and fertility. You will receive the bracelet in the photograph. The bracelet length is approximately 18-28 cm long (180-280mm) and has five different adjustable loop settings within that range. The bracelet comes in a lovely, black, bowed presentation box.